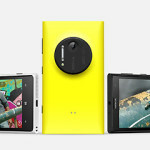 Nokia Lumia 1020 full phone specifications, camera features, pros and cons and price. After the launch of Nokia Lumia 1020 we can say that merging of Nokia in Microsoft could change the fate of future mobile phones. Nokia Lumia 1020 is a masterpiece with brilliant body design and exceptional camera quality. After Nokia 808 pure view this is second time Nokia is investing in camera quality. There is a 41mp and loads of other features. 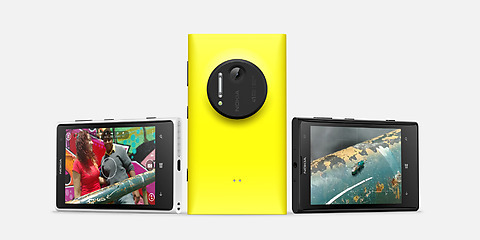 Guys Nokia Lumia 1020 is for you if you are a camera lover. No doubts there are many other features present in Nokia Lumia 1020. But basically it is a camera phone, so we give you some features of its camera. In this article read about Nokia lumia 1020 full phone specifications, camera features, pros and cons and price. Camera has as many as twice resolution than any other smart phone camera. With image stabilization you can capture images in motion with ease. Camera sensors are 4 times bigger than any other smartphones. So you can capture photos more smartly. Camera has 1/1.5″ sensor size, 1.12µm pixel size. Other features of its camera include: Carl Zeiss lens auto/manual focus, Xenon LED Flash, Geo Tagging, pure view technology. 4.5 inches (1280 x 768 pixels) pure motion HD-AMOLED capacitive touch screen. 41mp rear camera (38mp effective) with image stabilization, 1/1.5″ sensor size, 1.12µm pixel size. Extras: NFC support Digital compass X-BOX live integration Bluetooth version 3.0 Wireless charging. From the above specifications of nokia lumia 1020 and its camera. We can say that it has good design and exceptional camera quality. Also it is a windows phone. Windows application store has limited apps. So, if you want to enjoy various applications then this phone is not for you.